John Buckley’s Family Politics marked the debut of a wry new voice in American fiction. 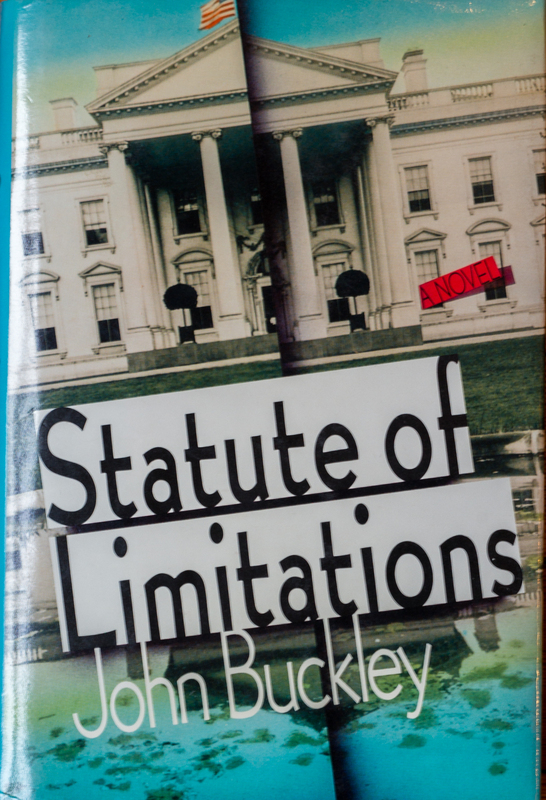 The New York Times called Family Politics “clever, mordant, and funny.” The Washington Post wrote that “Buckley is a writer of charm, wit and even some gravity.” Buckley’s second novel confirms his talents: Statute of Limitations is a suspensful, biting, deftly plotted novel about a young man trapped by his past. At the center of Statute of Limitations is Tom O’Malley, a rising young speechwriter for a new Democratic president. O’Malley went to Amherst in the 1970s and, like many of his classmates, managed to find himself in the same room with a joint. His roommate and childhood chum, David Nicole, was the campus dealer; a slick preppy gone bad with more drugs than many neighborhood pharmacies. Now, after some mysterious years in the mountains of Colombia, Nicole has returned to Washington to open a hip Eurasian restaurant, and throw a wrench into O’Malley’s nearly settled existence. With O’Malley’s past as ammunition, Nicole blackmails him into using his position to smuggle drugs back from a presidential trip to South America. As the blackmail gains momentum, we follow O’Malley on a dark, funny odyssey that could only take place inside the Beltway. We watch as his career, and the future of the young administration he works for, is variously threatened by a dim-witted senator on a cynical anti-drug crusade; Washington’s scandal-hungry press corps; and O’Malley’s own father, a disgraced former CIA operative whose bumbling attempts to help his son only turn the heat up another notch. In an age when accusations about past use of drugs loom high on the political landscape, Statute of Limitations taps into the vulnerabilities of an entire generation. Statute of Limitations signals the emergence of John Buckley as a national resource of savvy wit and real entertainment.